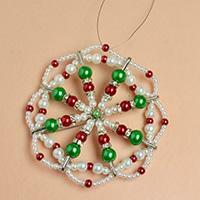 This Beebeecraft tutorial is for the coming Christmas for jewelry making beginners. By following this tutorial, you can learn how to make simple dangle earrings in a very short time. 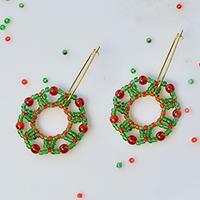 Christmas is right around the corner, so today we’d like to share you a pair of Christmas hoop earrings, you can make them for your Christmas holiday. 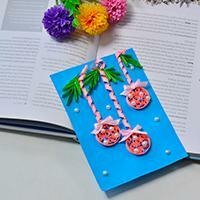 Hey, do you want to make a pair of Christmas earrings? 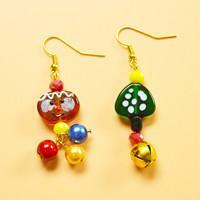 Then follow me to how to make cute Christmas dangle earrings with cube glass beads. 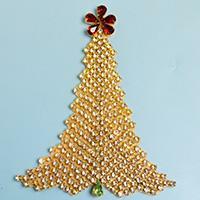 If you are searching for Christmas jewelry making ideas, you shall never miss this tutorial. 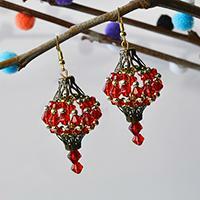 It will show you how to make chic vintage style lantern earrings for Christmas. 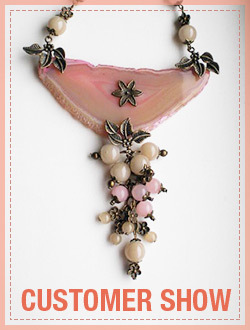 This tutorial will show you a Christmas tree pendant, if you also wanna make Christmas pendant necklace, you can never miss this one! Christmas is just around the corner, here I want to show you how to make a Christmas bracelet for the approaching holiday. Hope you can enjoy it! 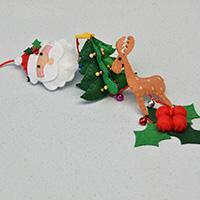 Searching for hanging decorations for Christmas? This tutorial will show you felt decorations for Christmas, and you can see how to make felt decorations for Christmas and try to make one yourself. In this PandaHall tutorial, you will see how to make an easy DIY Christmas decoration, which is mainly made by felt and cotton. 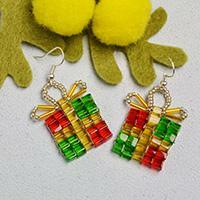 Do you want to make a pair of dangle earrings for the coming Christmas? 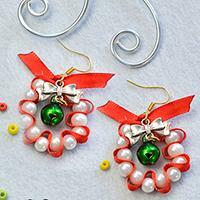 If yes, please just follow me to see today’s Pandahall tutorial on how to make Christmas Pearl dangle earrings with red ribbon. Wanna make hair accessories for Christmas? This tutorial will tell you how to make ribbon hair clips, follow me to see the detailed steps. 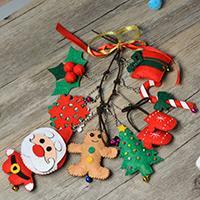 Today’s PandaHall tutorial will show you how to make felt Christmas hanging decorations, if you are looking for Christmas decoration ideas, you shall never miss this. 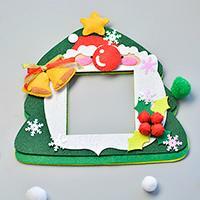 Do you need any Christmas felt crafts? 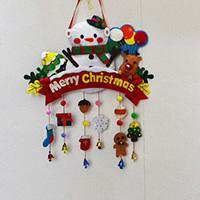 Then this Pandahall tutorial on how to make easy felt Christmas hanging decoration is helpful for you. 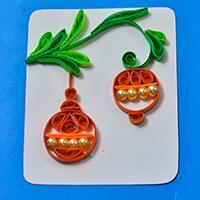 Love making quilling cards? If yes, you really need to have a look at today’s Pandahall tutorial on how to make simple quilling ball ornaments cards. Love quilling cards? If yes, hope you could get some inspirations from today’s Pandahall tutorial on how to make easy quilling lantern cards for kids. 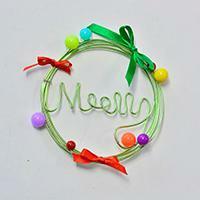 In this Pandahall tutorial, I'll share an easy DIY green wire Christmas wreath. Follow me to see how to make it. 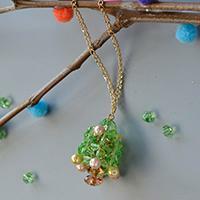 Today's DIY project is about a delicate beaded doll snowman pendant necklace. 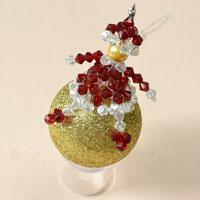 The main part is the making of the beaded boll snowman. Hope you like this snowman pendant necklace. 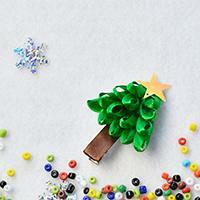 Do you love quilling paper decorations? 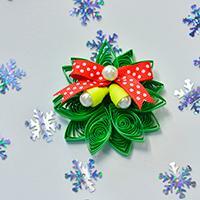 Today, I will show you how to make quilling paper Christmas decoration crafts. Let’s have a look.